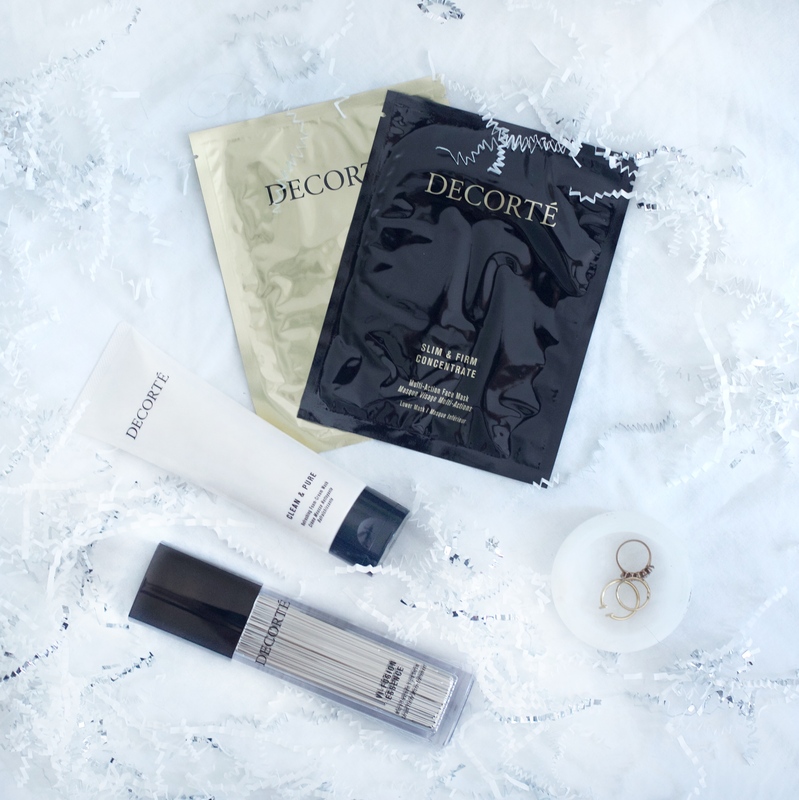 Decorté’s new Lift & Firm Mask is everything your skin has ever wanted or needed. It’s very rare that I’m shocked about a product and it’s results, but this mask is an exception. Most masks are either a single sheet mask or a one-formula container, treating your entire face the same. But the truth is that we all want that contoured, youthful look, with the top of our cheeks plump and firm and the bottom and chin to be slim and tight. 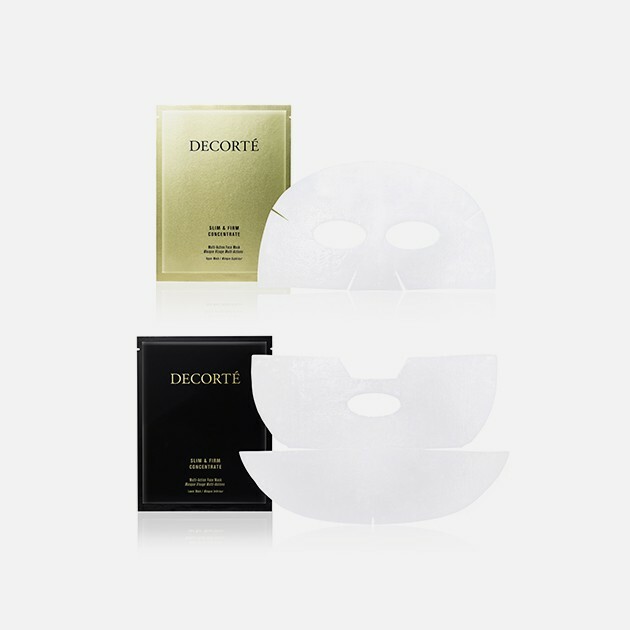 Say hello to the solution: Decorté’s mask is a 2-part mask, with a special plumping formula in the top portion of the mask and a firming formula in the bottom to give your face a soft, natural contour without the fuss of make up. When the amazing people over at Decorté asked my opinions on the mask, I told them the same thing I’m going to tell you guys. It literally might be one of the best products I’ve ever used on my face. The 3-step system is super easy, with the first step being an foaming face wash, followed by the mask and finished with their Vi-Fusion serum. All of the products are super light and refreshing and I couldn’t believe the way my skin looked afterwards. Below I’ve listed my favorite things about the mask and the reasons why you need this product in your life and on your face ASAP. After using the wash, mask, and Vi-Fusion serum, my face actually looked like I was wearing highlighter, fresh faced. My skin was very literally glowing and I spent way too long looking in the mirror at the natural highlight it gave my face. Best result ever. The products are super light and airy. I hate when you go to use a moisturizer or face wash and they leave behind heavy residues that make my face feel dirty. 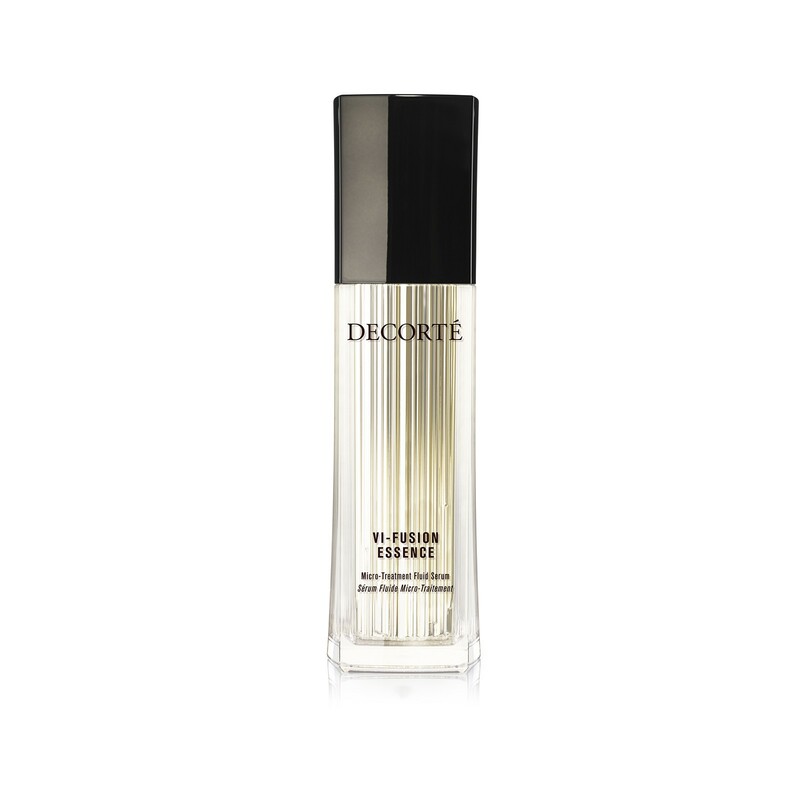 The Vi-Fusion serum is extremely light, almost the consistency of water, which I really love for the finishing product. I didn’t even break out. It’s always a huge shock when I’m able to find products that work with my skin instead of clogging my pores. I have super sensitive skin, so it was really nice to be able to use these products without having a trade off between clear or glowing skin. High quality. When it comes to my face and my skin, I never like to be cheap about the products. I expect whatever I’m buying to actually work and to do so without irritating my skin. This definitely isn’t something you need to worry about with Decorté. Whatever you’re buying, it’s worth the price. I can promise you that! Complementary range of products. Thank god for Decorté. 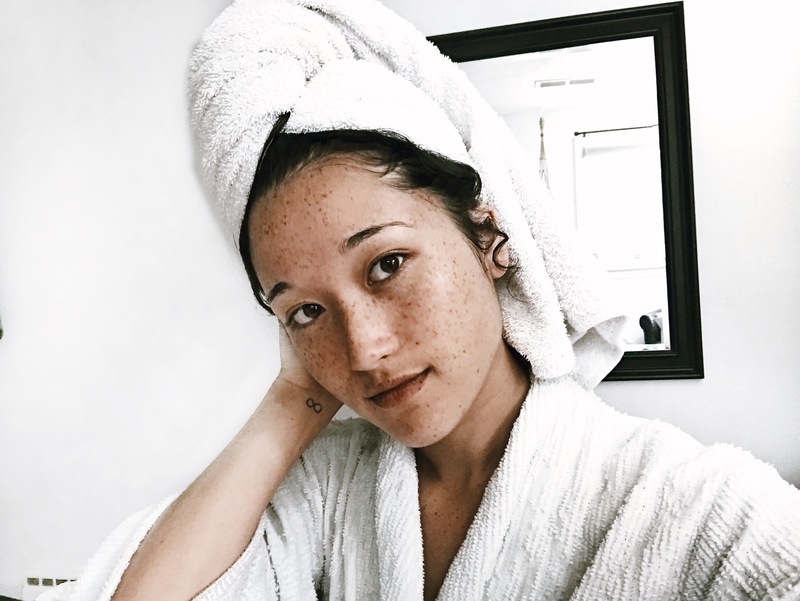 Lots of times, beauty brands have one-off products that they claim to be “anti-aging” or “firming,” but it’s the only product they have to address that issue. 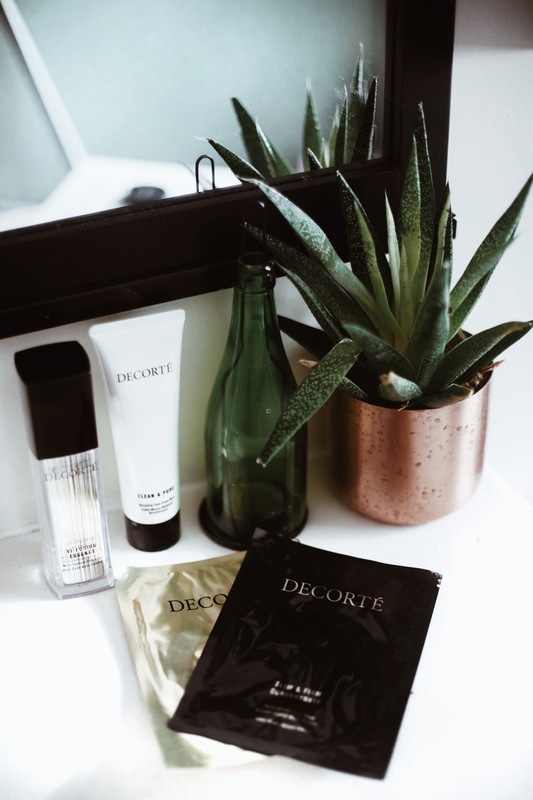 Decorté has an entire range of products that specialize in lifting and firming your skin, which not only let’s you double up on your efforts with products that work together, but it also lets you know that they’re experts in the area. Always looking for new skincare products to try. Thanks for the recommendation! Thanks so much Joyce! This product was, no joke, one of the best products I’ve ever used on my face. My cheeks had a natural highlight when I had no make up on.. it was seriously unlike anything I’ve ever seen. Decorté is on the more expensive side, but my favorite budget product is definitely the new L’Oréal Pure Clay masks.